Granny Cart Gangstas x The Lola Project Celebrate Pinay Power! Kim Arteche, the artist behind The Lola Project, and Aureen Almario of Bindlestiff Studio’s Granny Cart Gangstas comedy troupe, sit comfortably in computer chairs behind the reception desk in the Bindlestiff foyer, surrounded by memorabilia of past performances. 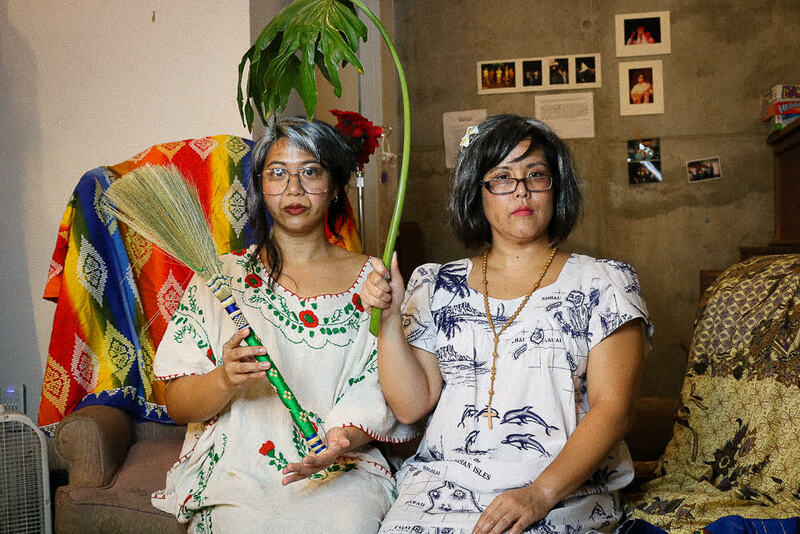 The two camps will be collaborating on a special performance experience for attendees at this month’s Undiscovered SF Creative Night Market, focusing on the narratives of the womxn elders that were instrumental in building places and movements like SOMA Pilipinas. “With Granny Cart Gangstas, because there is a huge group of us, it allows for a wide variety of humor. There are certain folks who write specifically from a satirical or political angle, and there are also some parodies as well. It was really borne out of the need to have a female voice in comedy in general. There really isn’t a space for us to talk about things that are funny to us specifically, and so a big part of our work is just kind of carving out that space for ourselves,” Aureen says. 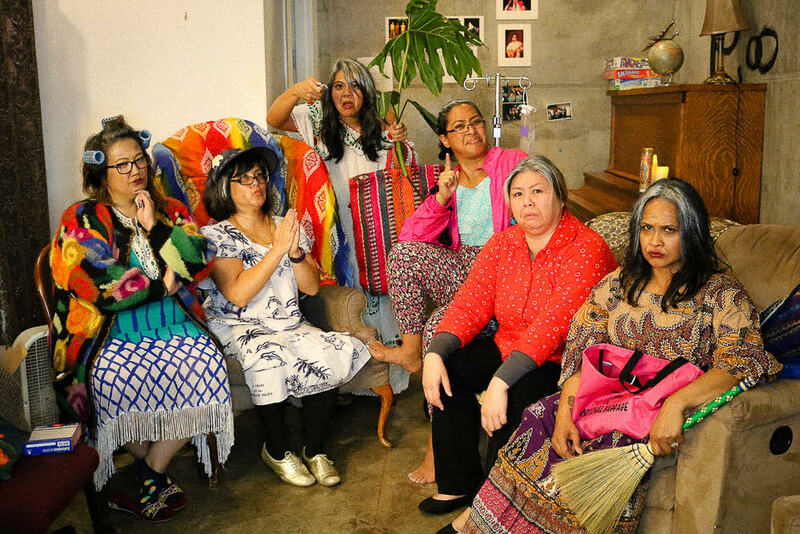 By working to document and communicate generational Pinay experiences, endeavors like The Lola Project and Granny Cart Gangstas are not so much breaking new ground as they are helping to hold down a long, rich tradition of Filipina leadership in the South of Market. “It’s important to normalize the Pinay narrative as the Filipino narrative. I feel like, lately, especially in memoriam of Manang Dawn Mabalon, we are staring to re-frame what our history looks like for Pinays; like, you think about someone like Deanna Sison at Mestiza Taqueria, all of the entrepreneurs that I feel like I look up to are all Pinays,” Kim says. “In SOMA Pilipinas specifically, there are a lot of women in leadership positions in our community that are taking on those roles, and taking care of the community – nurturing all of us,” Aureen says. Both Aureen and Kim are careful to point out the magnitude of what womxn do and have done to steward Filipino life in San Francisco. But, importantly, they also understand the mechanisms controlling how and why those stories been unfairly taken for granted, diminished, or ignored altogether. 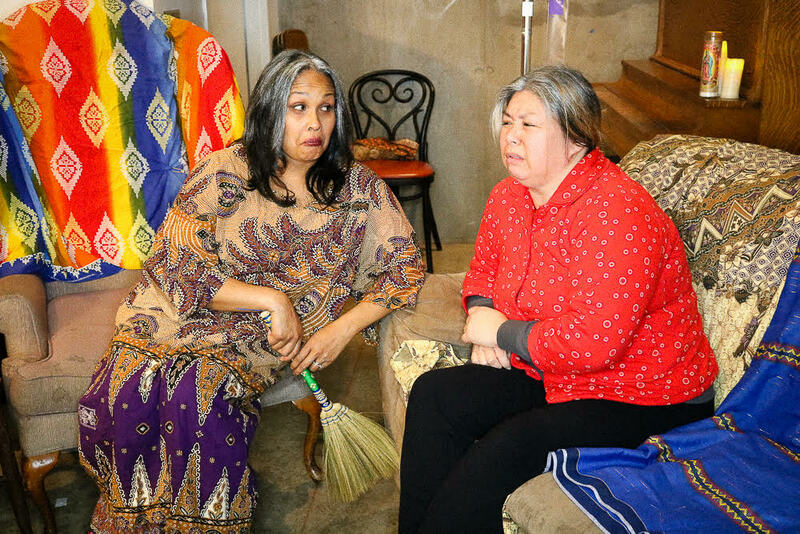 And, by the same token, they see their work with The Lola Project and Granny Cart Gangstas as designed to disrupt those mechanisms and direct the community’s attention toward significant, sustaining narratives that are almost universal to the Filipino-American experience. “With The Lola Project, there is certainly the fun and playful aspect of it, but then also it's about engaging community in storytelling – so being able to think about people’s memories with the women in their lives is something that I think that, as our community kind of grows and moves in different ways, maybe a lot of us might not experience as often anymore: thinking about Lolas, and the special care that you can get from your grandmother or grandparents that you can't get from anyone else,” Kim says. “When I think about the roles that the women played in my life, it's so underappreciated. And we keep on going too. Like, the fact that the women in SOMA Pilipinas are in such leadership positions, it shows how much they have committed to still nurturing and giving service to their community, and that is hard work – that is work that often we don’t recognize, all that extra time, extra care, extra worry that we put in to building and giving life to people,” Aureen says. So during Pinay Power month at Undiscovered SF, if you’re lucky enough to spot some curious, familiar-looking characters moving through the crowd, don’t be afraid to reach out and introduce yourself. “Reflect on the strength it takes to immigrate and live in a new country, that kind of resilience. Even taking five minutes to spend remembering that will remind you of the powerful lineage that you come from,” Kim says. 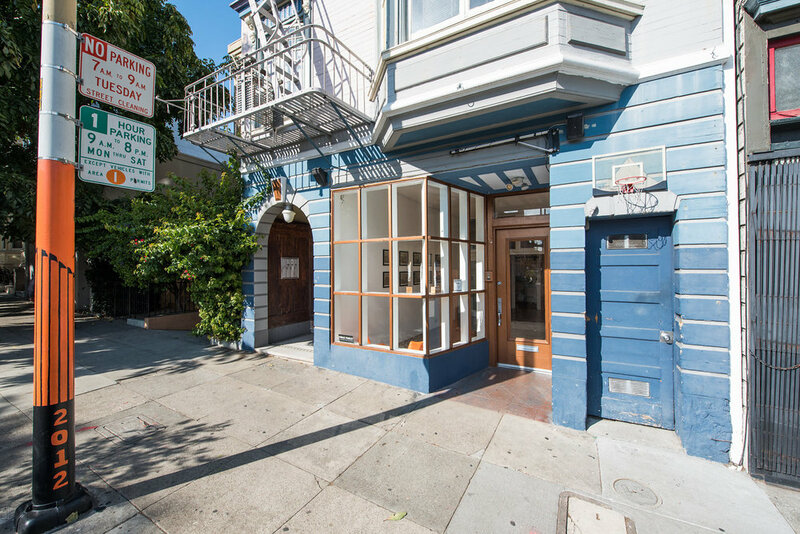 Olivia Ongpin of Luna Rienne Gallery — and Undiscovered SF’s Arts Curator — explains how after years deeply entrenched in San Francisco’s arts scene, she’s refreshed by the energy of the Undiscovered SF night market — an infectious combination of Filipino traditions and Filipino-American culture. She enjoys the unique challenges of curating one-night shows as part of a larger project, and takes pride in the specific task of presenting new and emerging artists to a broader audience. Olivia’s expert hand in stewarding and connecting artists with audiences is no doubt the result of years of her own hard work, but she reveals that her famous last name carries with it a deep and powerful connection to the arts — specifically to the Filipino people and their histories of resistance. “So I have a gallery here in San Francisco, I have a cousin who has a gallery in London, and I have a Tita who has a gallery in The Philippines. One of our family’s ancestors is Damián Domingo, who is one of the more famous Filipino painters from the 19th century. So it's kind of cool to feel like, 'I'm meant to be doing this.' And kind of the most famous Ongpin, who is my great-great grandfather Román, he had an art supply store in Chinatown in The Philippines. But he was also a famous revolutionary and financier of the Katipunan -- so he would supposedly ship in books from Germany during the revolution, and inside the books would be guns, because the Germans were supporting the Filipino revolutionaries in the war against Spain, and then against the US. So the main street in Chinatown in Manila is named Ongpin, after him." 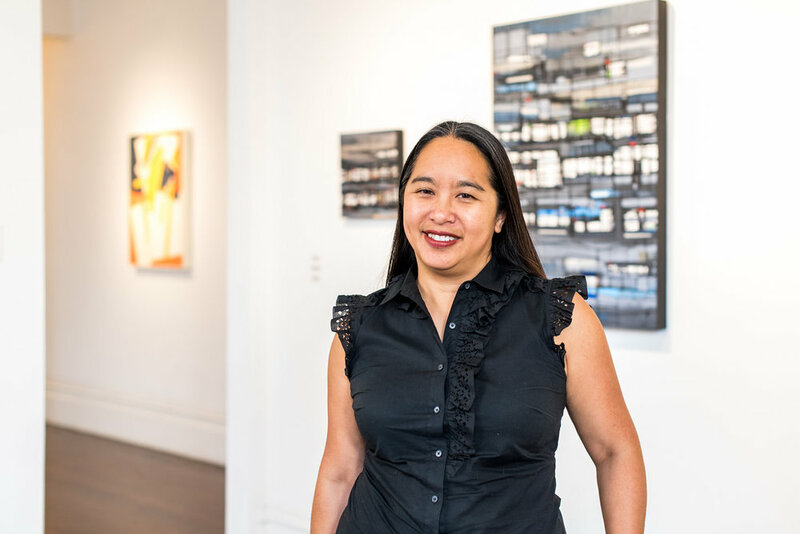 Olivia’s direct connections to the modern era of Filipino resistance and revolution help her understand her work at Undiscovered SF as more than just an art show.